Languages Spoken: Italian as the official language, while regional dialects account for other variants. How romantic would it be to have a wedding through the veins of one of Italy's most beautiful cities? Ca'Sagredo Hotel in Venice offers an immaculate stay at a 15th century palace, while literally being at the entrance of the canal. Visit http://www.casagredohotel.com for more information. If you happen to be in Venice during Shrove Tuesday, the Carnival of Venice is a unique experience in itself. Take advantage of all that Venice has to offer. Be sure to go to the piazza San Marco to see three of Venice's most prized sites at once: Doge's Palace, St. Mark's Basilica, and Torre dell'Orologio. How lovely to be in the birthplace of the Renaissance. La Sala Rossa is a popular option for those wanting a civil ceremony within this great city. Known as the "Red Room", La Sala Rossa is located in the Governor's Quarters in the Palazzo Vecchio. Visit http://en.comune.fi.it/municipality/rooms_pv/redroom.htm for more information. Before your ceremony, take a stroll through the stunning Boboli Gardens for the perfect photo opportunity. See some of the most coveted Renaissance art at the Galleria degli Uffizi. Florence's brilliant architecture hosts many venues that are relatively ceremony friendly. The Vatican City is also home to one of Italy's most coveted art museums. If your spouse has a thing for adventure, why not explore the Underground Vatican and visit the Tomb of St. Peter? Milano is known as a fashion capital as well as for it's nightlife. If you and your spouse enjoy an occasional outing, Milan might be for you. Visit http://www.justluxe.com/travel/413__milan/116__nightlife.php for some popular lounges and clubs. Hotel Principe di Savoia is a venue through Dorchester Collection which facilitates high-end weddings in Milan. See http://www.dorchestercollection.com/ for more information. La Scala Milan also offers great Opera packages which may be of interest for excursions. Located in the heart of the ancient city, Hotel de Russi provides wedding facilitating services and venues to make your destination wedding in Italy everything you could possibly wish for. Breathtaking suites and packages await you. Visit http://www.hotelderussie.it/ for more information. Arguably one of Italy's most pristine locations. This exquisitely beautiful coast is a UNESCO World Heritage site. The breathtaking 28 mile winding coastline boasts colorful villas and scenery that one isn't likely to ever forget. Le Sirenuse offers weddings at their exquisite hotel which overlooks the coast. Also Le Sirenuse offers boating and other activities which would be excellent excursions for your big moment. Visit http://www.sirenuse.it for more information. Experience the remains of 79 AD Roman culture, preserved by volcanic ash. Viator provides a holistic tour of Pompeii with a chance to hike Mt. Vesuvius, visit the Thermal Baths, Vetti's House and Lupanare, and the Forum. Visit http://www.viator.com/Rome-attractions/Pompeii-tours-tickets/d511-a41 for more information. Naples is also known for its contemporary art scene. Head on over to a local gallery such as the Novecento a Napoli Museum for some contrast to the abundance of antiquity. Italy's geography as a peninsula gives it a wide spectrum of climates. Northern Italy has notoriously dramatic winters. December to February can be as cold as -1.8°C (29°F) in Milan, with hot summers reaching upwards of 29°C (84°F) in July and August. Central Italy has a much more mild climate throughout the winter and summer, with the summer lasting longer than that of the north. 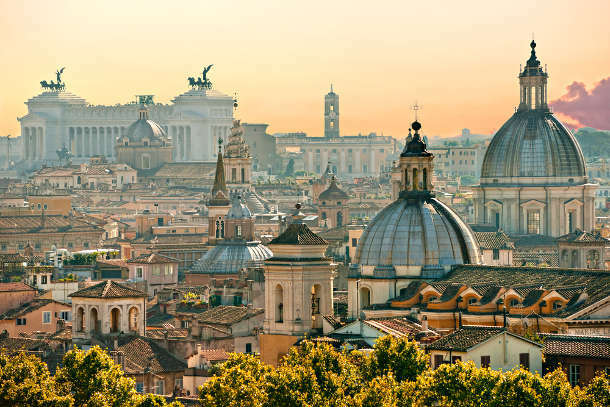 The winter can be as cold as 4°C (39°F) from December to February in Rome, to upwards of 32 °C (90°F) in the summer during July. Southern Italy has a very tempered winter with a very warm summer. Northern Italy can experience snow year-round in the mountainous regions. Lower altitudes experience a sunny summer. Precipitation increases in the spring around April and maximizes as the altitude increases. Winter in Northern Italy often sees dramatic snowfall, especially near the Alps. Central Italy displays prototypical Mediterranean climate and weather. The late spring and summer is filled with an abundance of sunshine from May to August. Autumn becomes less sunny as the rainy season begins around October. Late autumn and winter is rainy and not as sunny Novermber to February, but sunshine increases as spring nears around late March. Spring displays brilliant sunny days with minimal rain from March until May. Southern Italy is host to fantastically hot and sunny days in the summer from June until August. Autumn increases in precipitation around October and sunshine slightly decreases. Winter is frequently overcast December to February. Spring has a good balance of sunshine with not much precipitation March to May. Quale è il suo nome? What's your name? Come dite ___ in italiano? How do you say ___ in Italian? Perhaps one of the most common misconceptions in the Italian language is that ciao! can be used in any context. It is informal, and should accordingly never be used among a stranger. Salve! can be used to greet in the formal situation. Italian friends will often greet by kissing each other on the cheeks, once on each side. Italians can be very fashion conscious and a person's status is usually judged by their appearance. It's important to dress according to the context, such as visiting a church or other outings. L'antipasto These are the equivalent of appetizers. You will find common items such as bruschetta, cured meats, cheeses, etc. Il primo This is the first course. It will typically be a pasta or soup, such as minestrone. Il secondo This is the main course. Seafood and meats are usually found here. Il contorno The equivalent of a side dish. Salads or vegetable trays are common items. Il dolce Dessert. Italian favorites include Tiramisu, Cassata Siciliana, Biscotti, and many more. In Italian restaurants it is common to order bottled water versus tap water. Sparkling water is more common than the non-carbonated variant. Wine is a popular selection among Italians. Ordering a caffe will likely land you an espresso. Most coffee beverages are consumed separately from the meal, and generally cappuccino is not drunk past lunch. Limoncello is a popular lemon infused alcohol consumed mainly in Southern Italy, which is refreshing during the summer. Tipping in Italy is subjective. Many say that, "only tourists tip". Tipping practices can vary region to region. As a standard, tipping is reserved for outstanding service. Also, when paying in cash, it is more acceptable to allow the recipient to keep the change. A service charge is often included on the restaurant bill. Generally, you can find the rate at the beginning or end of the menu. Prior to the introduction of the Euro in 1999, Italy mostly ran on the lira. The Euro (EUR) is now Italy's official currency. Most restaurants, hotels and business accept debit and credit cards in towns and cities and ATMs are common. In smaller villages however, it is wise to keep cash on you as this may be the only way to pay. Small businesses and markets will generally only accept cash. The cost of your Italian wedding will vary depending on the location, services, duration, amount of guests, and excursions. Airfare should be taken into consideration and will vary depending on your location, with rates inflating during tourist season. More guests will increase the cost dramatically. Rent can be minimized or even nulled if guests are kept to a minimum. A destination wedding in Italy on a budget with around 40-80 guests can be around 6-8,000 € (excluding airfare). However, more decadent weddings can be upwards of 15,000 €. 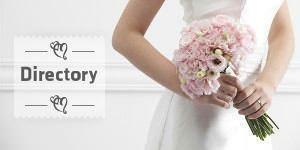 It's worth checking in advance with wedding suppliers how they would like to be paid. The following notes are not comprehensive and are intended as a guide only. Before planning your wedding in Italy we strongly advise you to contact the Italian embassy in your home country or your country's embassy in Italy to obtain up-to-date legal requirements. No residency requirements are necessary in Italy, which makes a destination wedding a rather easy process. Intentions to marry must be set by visiting the town clerk in the location that you desire to marry at. You must bring two witnesses with you, and if no one is a citizen then a translator will be required. If one of the couples is an Italian citizen, wedding banns will be posted for two Sundays. Four days after the final Sunday will mark the freedom to marry. If neither is Italian, then these banns are not necessary and marriage can occur after the intention is set. For a civil ceremony, a non-Italian is going to need to show their passport as well as a birth certificate less than six months old. If divorced, termination evidence will also need to be shown. You also need to bring four witnesses to the Italian counselor office in your country and swear that you have the legal right to marry. This process must be repeated in Italy, in a counselor office. Generally it can take up to four days to be approved to marry by ceremony held at the town hall. The catholic ceremony is a much more intensive process for the non-Italian. The couple will want to first obtain their civil marriage license. You will generally need a letter from your priest which states that you have fulfilled the Pre Cana procedures as well as permission. The priest will also need the same letter from your Archbishop. These two documents must be sent to the Italian priest at the location of which you desire to marry. The process should be initiated about 6-9 months before the planned wedding date. To receive your marriage certificate, it's recommended to request multiple copies. The copies must be taken to the legalization office of the location which the ceremony was approved for. The documents will be stamped and deemed legal. Italy is split into 20 unique regions, all except the Aosta Valley of which are further split into provinces. Each region has fantastic attributes that make it a great spot for a destination wedding. Find out more about the Regions of Italy or browse our Italian Wedding Directory to start planning your dream wedding.